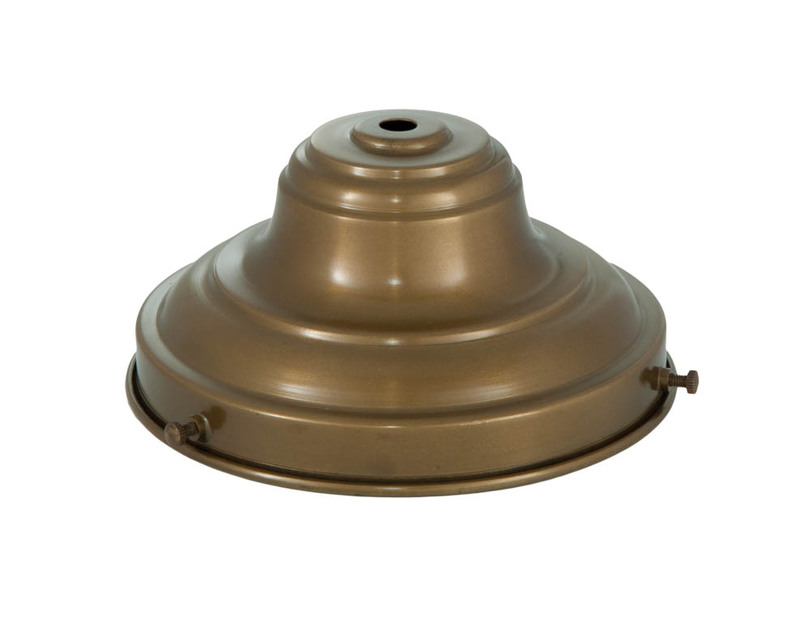 Spun Brass Fixture Shade Holder for 6 inch shades, 3 3/8 inch deep with rolled edges and 3 set screws. Center hole slips 1/8 IP. Antique Brass Finish. No reviews yet for the 6" Fitter, Antique Brass Shade Holder.